LiFePO4/Lithium Ion/Lead Acid 60-120W Battery EBike Charger. LiFePO4 Battery Charge Voltage = 3.55V x the number of cells in series. Universal AC input voltage without built-in PFC. AC Input Voltage: 100~240VAC. Universal AC input voltage without built-in PFC. 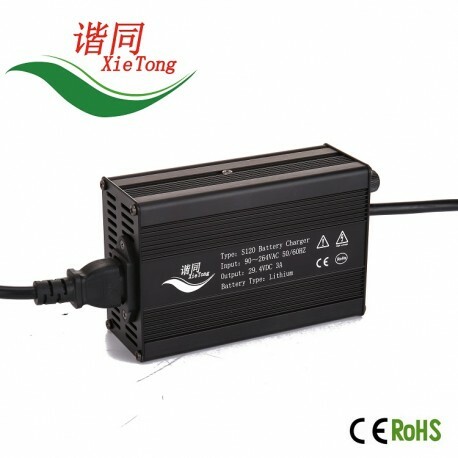 Charge Voltage: battery pack charge voltage. AC Plug: Country-specific power plug. 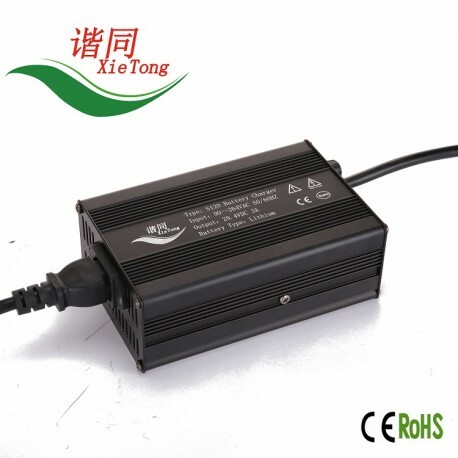 Battery type: LiFePO4, Lithium Ion or Lead Acid. Li-Ion Battery Charge Voltage = 4.2V x the number of cells in series; LiFePO4 Battery Charge Voltage = 3.55V x the number of cells in series.